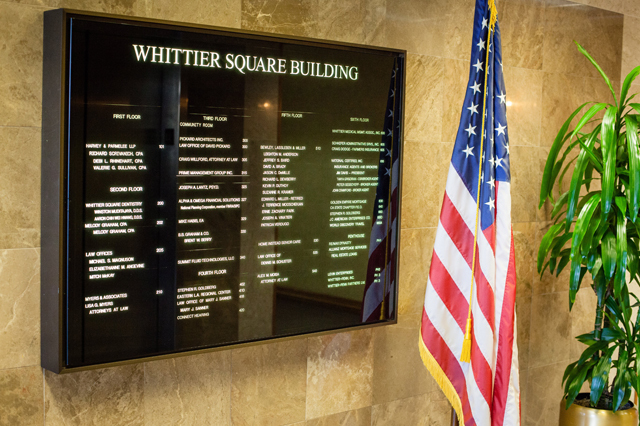 The Whittier Square Building is the premier office space property to represent your business. Our goal is to provide our tenants with the very best service at competitive pricing with unmatched personal attention possible. Our building is in excellent condition and has no deferred maintenance. 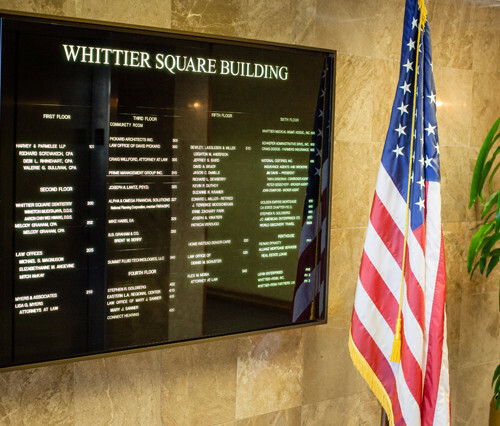 Whittier Square also houses a community room as well as a conference room for the tenants use. Plus, a cozy lunch room can also be found on the third floor.